Coaches, master infield/outfield practice with our selection of the best wood fungo bats on the market. We have ash and maple fungo bats available in a variety of lengths. Some bats can even be personalized with your team colors or name inscription on the barrel. Note to baseball parents and players: a personalized fungo bat makes a great team gift for your baseball coach! New color! 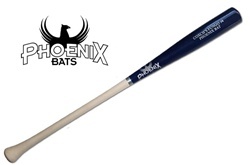 This fungo is a Poplar and Maple pro-grade hybrid composite for long lasting durability. Choose from 3 models. FREE SHIPPING!